"Diamonds are a girl's best friend,” at least according to Marilyn Monroe, but she had no idea that the brilliant gems could also foster friendships and save thousands of lives in a community. 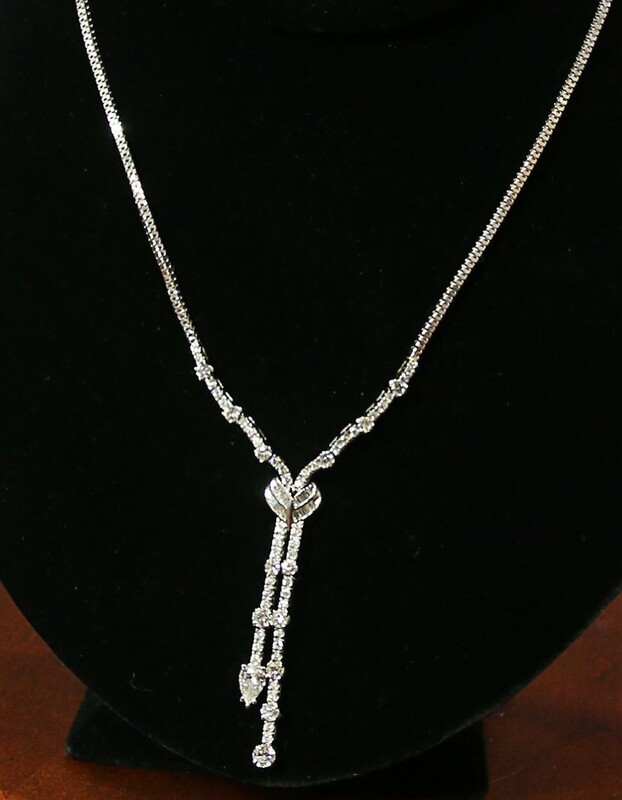 T hat's what has happened with a single necklace, donated by Fort Pierce jeweler Greg Childress, and the women who have shared it and her mission with the entire Treasure Coast. 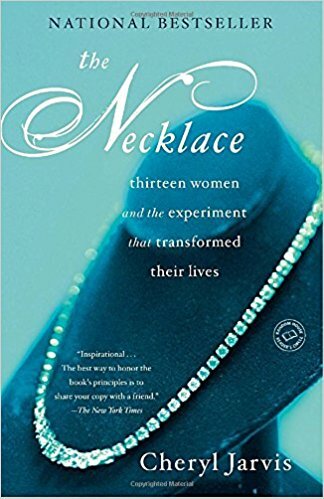 At a charity luncheon a few years ago, table-mates told local writer and IRSC Instructor Wendy Dwyer about a book they were reading called, The Necklace, by Cheryl Jarvis, which chronicled 13 California women who decided to jointly purchase a very expensive necklace and share ownership. A true story, Ms. Jarvis explains that some of the women knew one another, most were only passing acquaintances or hadn't met at all. The experiment in joint ownership transformed the women's lives, and reading the book gave Wendy an idea. She approached Greg Childress, who was about to open a new jewelry store, shared the story and shared her idea. 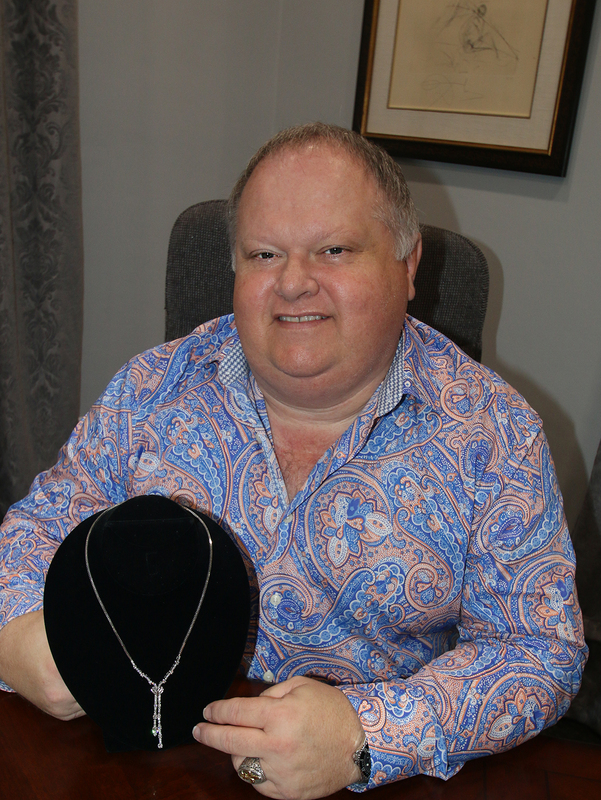 Without even blinking, he agreed to donate a one-of-a-kind, $12,500 necklace to the VIM/HANDS Clinic of St. Lucie County, a free clinic that provides primary medical, dental, mental health, and vision care to uninsured residents of St. Lucie County. 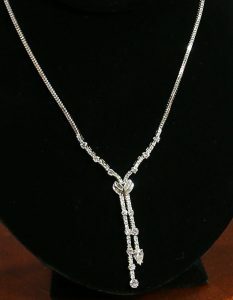 I nstead of auctioning off or raffling the unique piece of jewelry, the necklace would be shared by 12 local women for one year, each wearing the necklace for one month. During the month she was to wear the necklace, each woman would agree to raise at least $1,000 in donations and as much awareness about the VIM/HANDS Clinic as possible. Because there are 72,000 uninsured St. Lucie County residents, raising awareness is as important as raising funds to help provide life-saving care.  Nicknamed "Jewelia" in honor of the original necklace worn by the women in California who created the original experiment, our Jewelia made her debut in April, 2015 at a dinner coordinated by HANDS Fund Development Director, Sydney Liebman. A year later on March 15, 2016, it was announced that more than $217,139.79 had been raised by the women involved in the Project’s first year, which included Wendy Dwyer, Bunny Webb, Pat Alley, Jennifer Strawn, Maria Seidel, Sandee Allen, Jeannette Weiss, Cris Adams, Tia Adkins, Veronica Tempone, Sue-Ellen Sanders, and Mia Batalina. Each woman involved in the project used her skills, ingenuity, talents, and creativity to raise awareness and funds. Many hosted special events, including Sandee Allen's Labor Day Little Black Dress Party that featured a surprise Little Black Dress male fashion show the likes of which the Treasure Coast has never before seen. There was a dance party, a Fruitcake Frolic & Scavenger Hunt at a local botanical garden, privately hosted fundraising dinners, and even photo shoots with the now-famous necklace. Along the way, word of the unique fundraising idea spread, and in January of 2016, Dale Muegenberg, one of the original Women of Jewelia and the inspiration for Chapter Four of The Necklace, visited from California and quickly bonded with her East Coast counterparts, inspiring the Treasure Coast women in their own unique journey. On April 23, 2016, a new generation of Ladies of the Jewelia Project was introduced during “ Hands Across the Gardens,” a wonderful dine-around event hosted by Debora Thompson at Port St. Lucie Botanical Gardens. Those ladies committing included Pat Alley, Maria Seidel, Deejay Gardner, Pamela Tempone, Debora Thompson, Sandee Allen, Tia Adkins, Linda Evans, Tina Klein, Kathy Post, Sydney Liebman, Lisa Rymer, Jennifer Strawn, and Gail Flesche. Although the make-up of the group changed during the year, they successfully raised more than $133,307, bringing the total raised to date to $350,446.83 - a phenomenal two-year effort! Now going in to its third year, the events associated with The Jewelia Project have become staples on this community’s social calendar. Coming on board to set a new standard in raising awareness and funds for the VIM/HANDS Clinic of St. Lucie County are Deejay Gardner, Jennifer Wiggins, Gail Flesche, Veronica Tempone, Maria Seidel, Pamela Tempone, Janie Reed, Brittany Huff, Kathy Post, Jackie Holfelder, Sydney Liebman, and Pat Alley. It’s going to be another busy year, and with these Ladies of the Jewelia Project at the helm, it’s sure to be nothing short of successful.